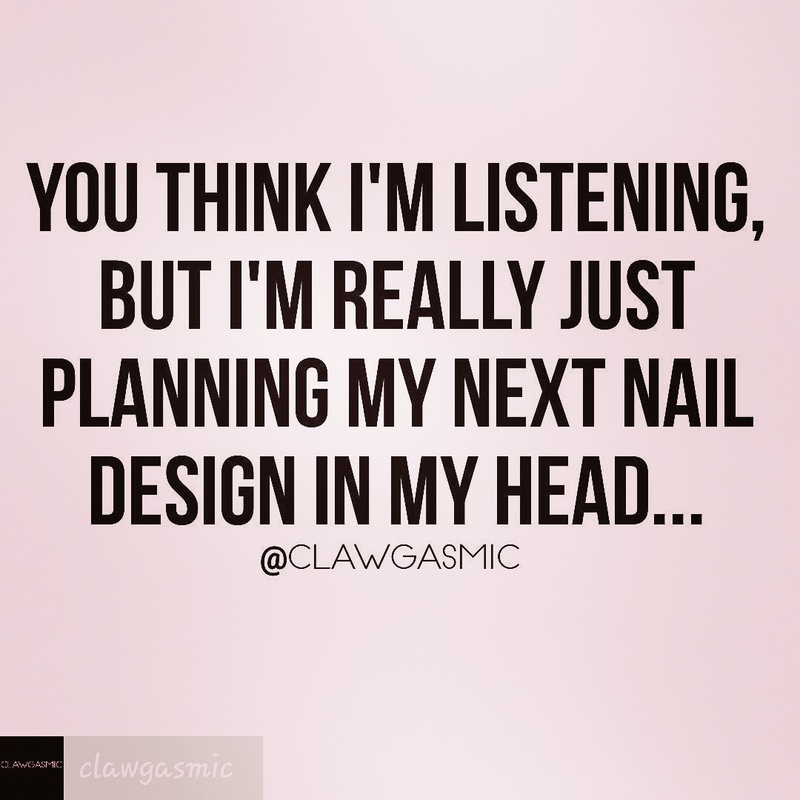 Nail Memes Of The Day! 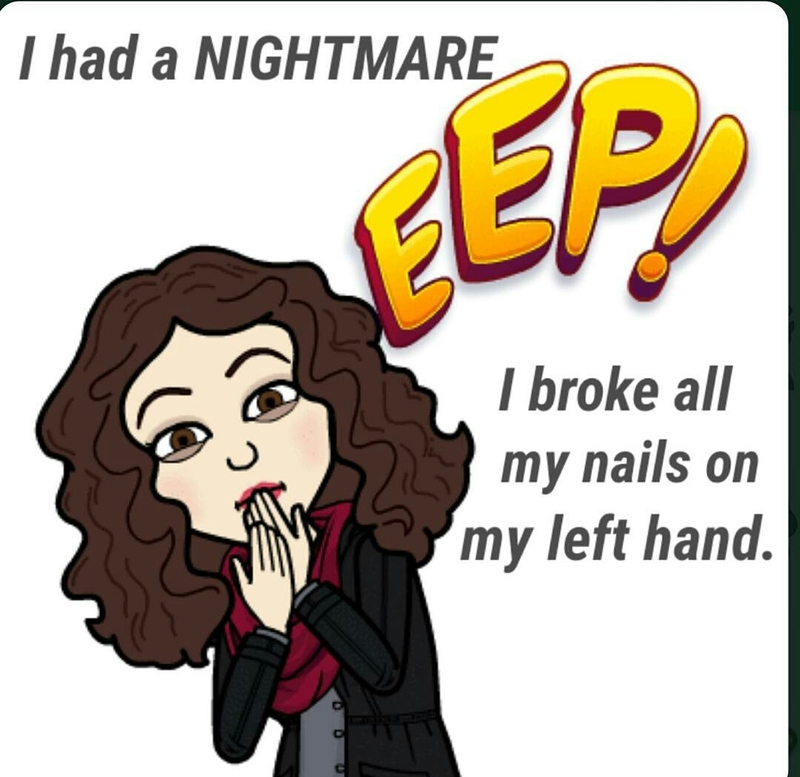 I’m always coming across a funny but true Nail Memes. These both have me lmao!! Meme above by: Clawgasmic on IG. 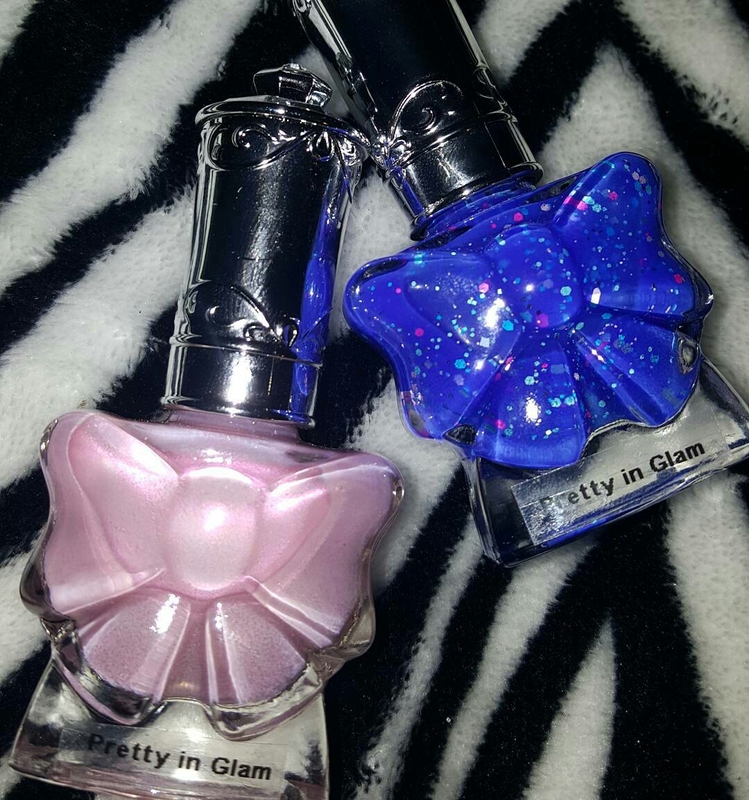 When I 1st seen this polish what caught my eye was the adorable Bow bottles,The Silver Mirror like Caps& The Diamond on Top of the Caps. Then I looked at the Colors lol Sometimes I get polish just because the bottle was cute or for the name of the polish.I know I’m not alone on that one,Am I? Lol. 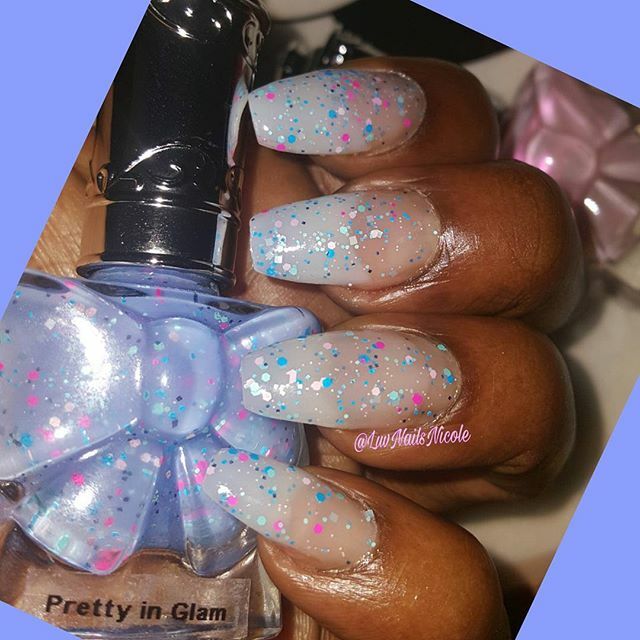 PINK PEARLS is a Shimmery Iridescent Very Light Sheer Pink. I couldn’t get this color to show on my Acrylic Nails that well.Its so sheer &is probably opaque in about 3-4 coats. I swatched it on my nail art mat & on my thumb in 2coats but it was hard to pick up the color in pics. The Acrylic Powder I have on isn’t a natural nail color so it’s sometimes hard to see light colors on this set. You can watch my Swatch Vid on youtube to see it.The color is really pretty.Im going to try it again once I redo my nails. 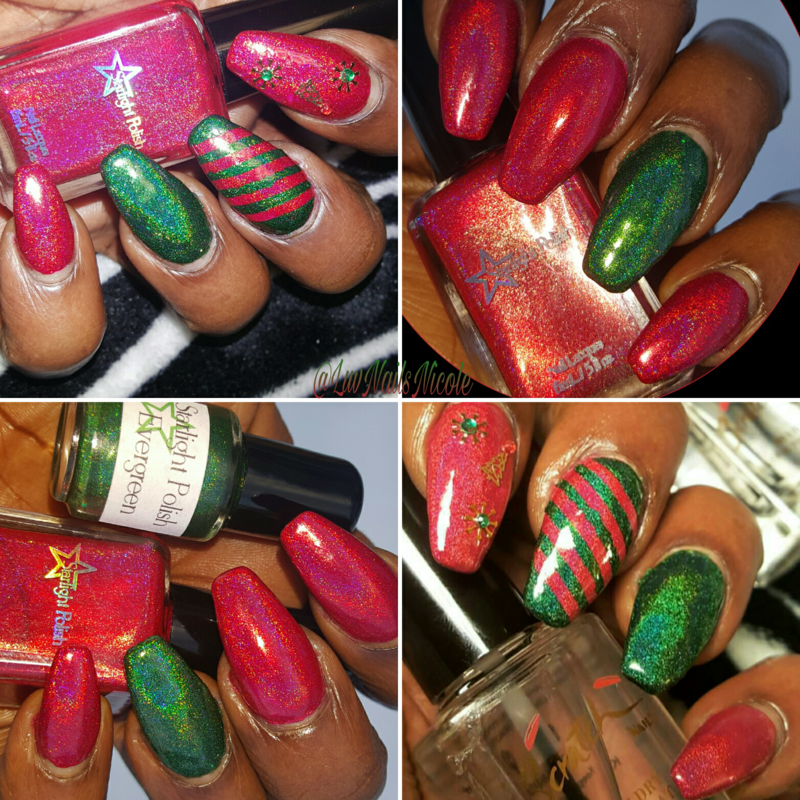 CANDY CRUSH is a Jelly Like Glitter Thermal that changes color in Hot,Warm&Cold Temps Outside&Inside. Everything about this color is perfect. The small glitters in different shapes &colors makes it pop.The base isn’t a cream like a Crelly Polish it’s more like a Jelly Base and I only used 1coat!vI thought I was going to need at least 2-3 coats because it looked so transparent. It changes colors like nobody’s business lol.This is that color that you can’t stop staring at or like I did,played in the water to watch the colors change lol. It’s changes All white,Light Blue&White and Dark Blue. The formula is nice on both colors,good size brushes&the thermal dried pretty quick. The pink took a lil longer since I did 3coats on my thumb nail. That shouldn’t be a problem after adding a quick dry topcoat.I can’t wait to try more colors.These are a Must have in your collection especially if your PolishAholic. How I Polish with my Tweexy!! I Polish my nails alot and this tool has been the most handiest tool that I reach for. Its called “TWEEXY” A NailPolish Holder Ring. Whenever I would post pics of it people would say it looks like it would be in the way, looks like it will tip over&Spill, Doesn’t look comfortable to use or wear& so on. None of that is the case if you use it in a way that is best for you & take your time. So I decided to show how I use my Tweexy and I also show a few different shaped polish bottles that can fit perfectly in the Tweexy. It fits over 1,000 Brands of Polish Bottles/Shapes and is onesize fits all with lots of stretch so it can fingers Big,Small & in-between. Subscribe to my YouTube channel & Watch How I Tweexy! I am New To Posting Vids&they are not perfect but im Learning as i go.The lighting is dim in this Vid but i will be posting another Vid or two soon of me using it(in better light;)Since i have 3Tweexys! Click the Bell after you Sub for notifications on new uploads. 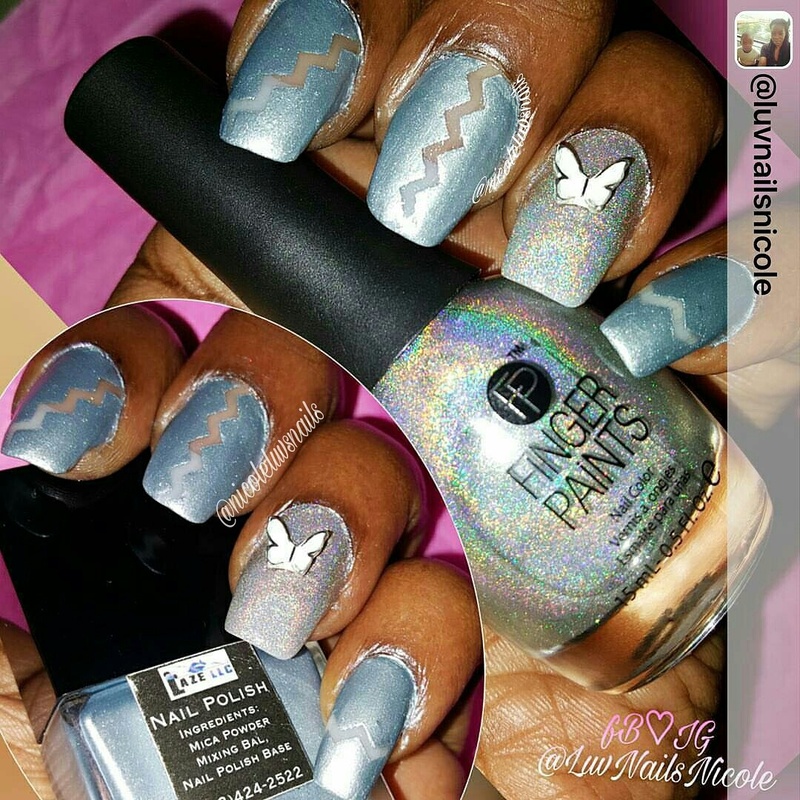 I stumbled across this new line on Instagram&The Pics of the pretty Holos had me drooling! I was happy to have the opportunity to Try&Review them.Issa is the owner and she is so super sweet. She sent me Cuticle Oil and so many beautiful colors to try that i still havnt used them all! The 3 that i have I used so far are ahmazing The formula is perfect for a Holographic Polish because some Holo Indies I’ve tried are so thick&need thinners but not these.The consistency is on point.All 1coaters that went on smooth with quick drying time.I was truly impressed with how nice they were.This line definitely deserves to be up there with some of the most popular Indie Holo Polish.She is just starting out & doesn’t have many followers yet but I think that will change soon,She has an amazing product. Be sure to check out StarlightandSparkles All info at bottom of post. I WON!!! 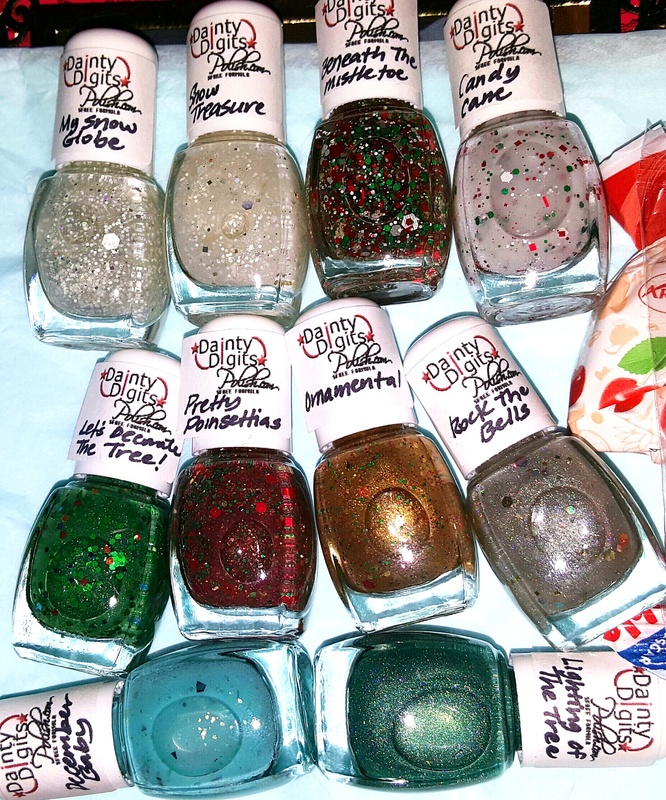 DaintyDigits I won on Instagram from a Xmas Contest.10 Mini Polishes&8 Are Scented! 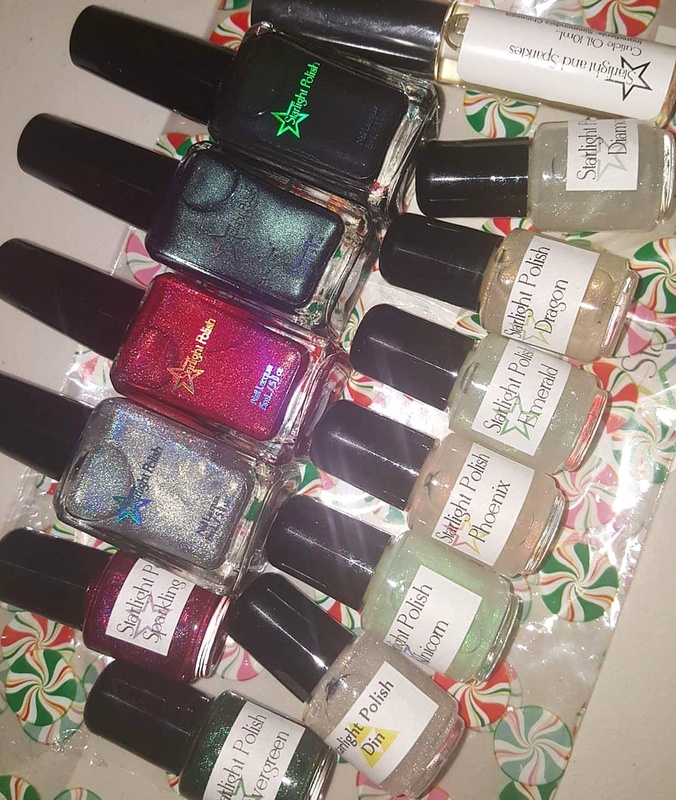 I was so happy to win these yall=) Especially Since I didn’t get not 1 Polish for a gift this Xmas.Like Wth everyone assumes I have enough polish but a polishaholic never does right? !So just Buy me all the Polish Lol! I’ll list Names&Scents of the DD polish below under pic. BornPretty Had a Giveaway Grab Bag Prize on IG for The first however many ppl that entered.I entered 2 separate giveaways they did in November&Received 2 sets of Prizes. 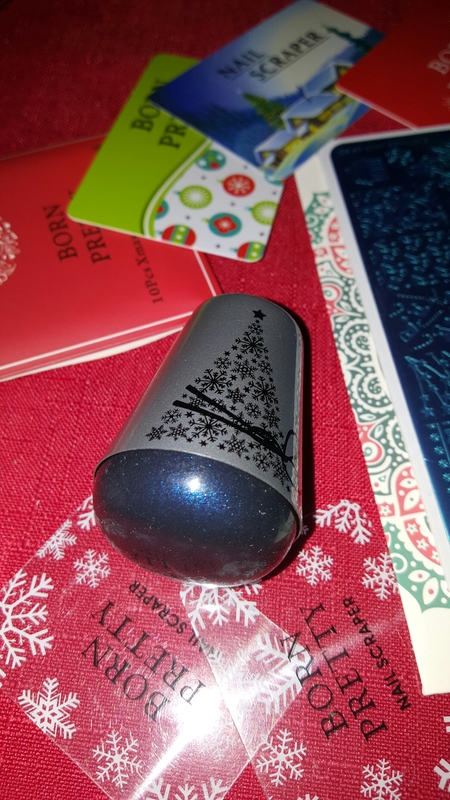 The 1st Set that came was a Cute Soft&Sticky Space Stamper w/Xmas Tree Silver Holder &2mini scrapers,Xmas Stamp Plate ‘Celebration‘BPX–L008 &a pack of 10 Plastic Scraper Cards.Both Prizes Arrived super late,like a week ago so I didn’t have a chance to use it before Xmas.There are a cpl designs on the plate I can use for winter nails&the Stamper i cant wait to use,I had it on my BP wishlist when it 1st came out. 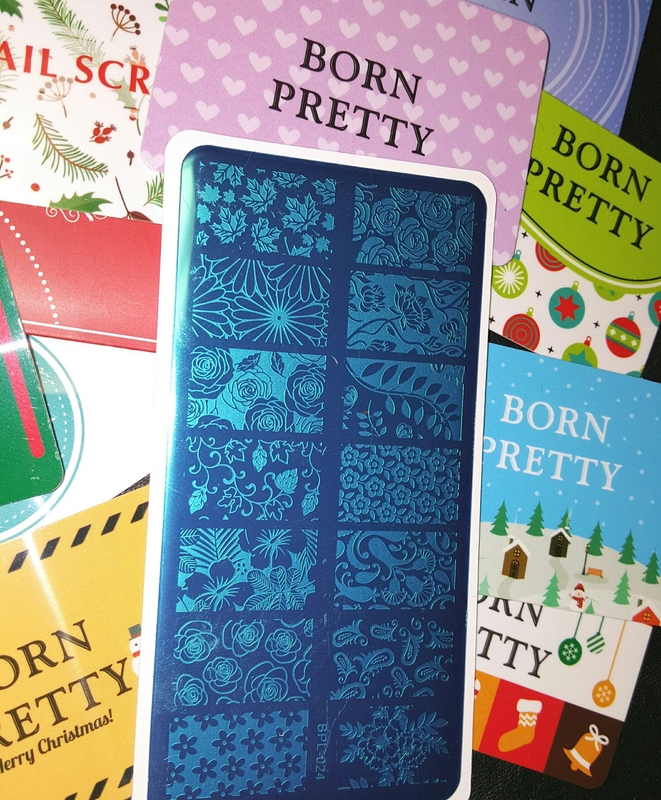 These 2 pics are from the 2nd BornPretty Prize. Stamp Plate BPL–024.I heard from alot of ppl that it’s a really good plate & 1 of their favs.I also got another pack of 10 Plastic Scraper Cards,A Paris Necklace,4 Midi Rings & a broken Lipstick that’s so not my color.Looks more like a concealer lol but that’s ok it was Free&I Like the plate & can use the Xtra Scrapers. 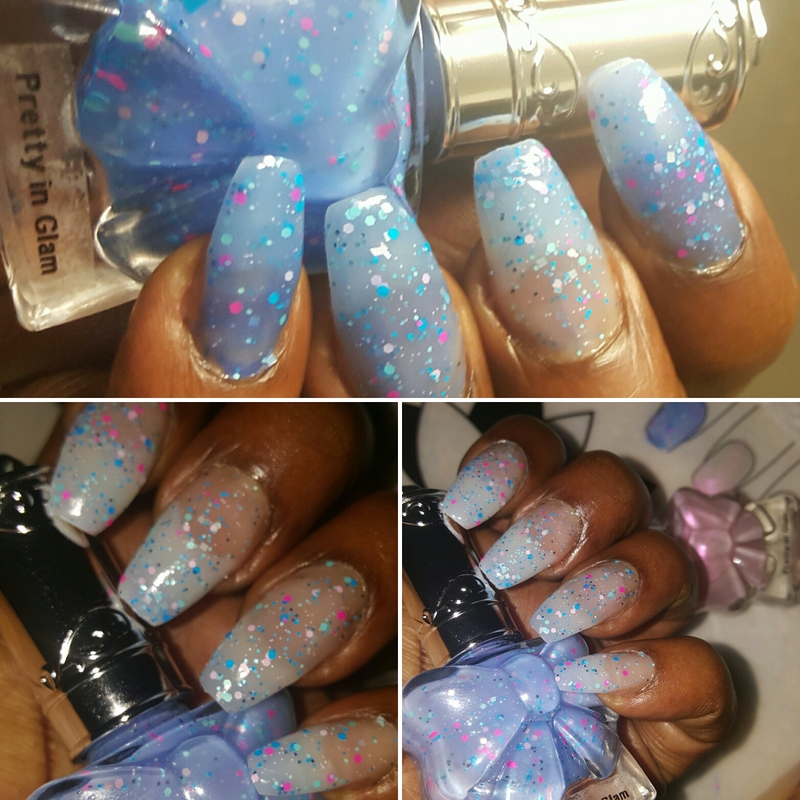 I totally forgot to post an update after i used my Lazellc Indie Polish & I remembered while I was scrolling through my old Blogs.Its a few blogs down & gives a little more info on laze_llc polish(Its made by a guy to,I thought that was cool because most indies are made by ladies;)Anyhoo! The Polish is Nice,I had to shake it a bit before i used it&In between using like twice. I Used 1coat&the dry time was quick! 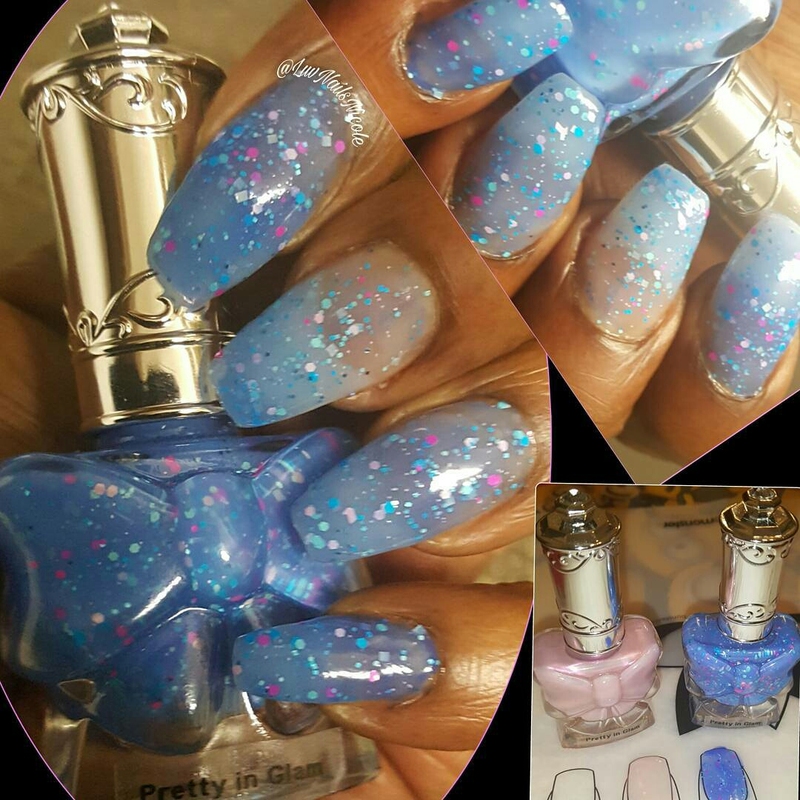 The color is called METRO PARKWAY &Kinda looks like a Silverish/Light Blue& has a hint of shimmer to it.On My Accent Nail w/Butterfly Is FingerPaints “Holographic Topcoat” and Vibrant Vinyls for Negative Space Design. The Polish lasted with no chips for about a week or so and that’s only cus I removed it. Remember I do wear Acrylics & I rarely have problems with my polishes chipping. Also If i wear a color for more than 3days I add another topcoat to it so it won’t look dull but this mani I didn’t add T.C. It stayed fresh looking the whole time. The color looked so pretty which is 1 reason I wore it so long!I really liked how it looked in the sun.Its a plus when you find polish that you can’t stop staring at throughout the day. I’ll for sure be adding a more of them to my collection. Since I’ve tried Lazellc they have added alot of New colors,Nail Treatments &other new products to their line that I hope to try soon also. Give them a Follow on Instagram at www.instagram.com/laze_llc/ To Order Send them a email or DM.Info is in their bio.If you don’t have IG comment & I will get email address for ya. I am a true PolishAholic. 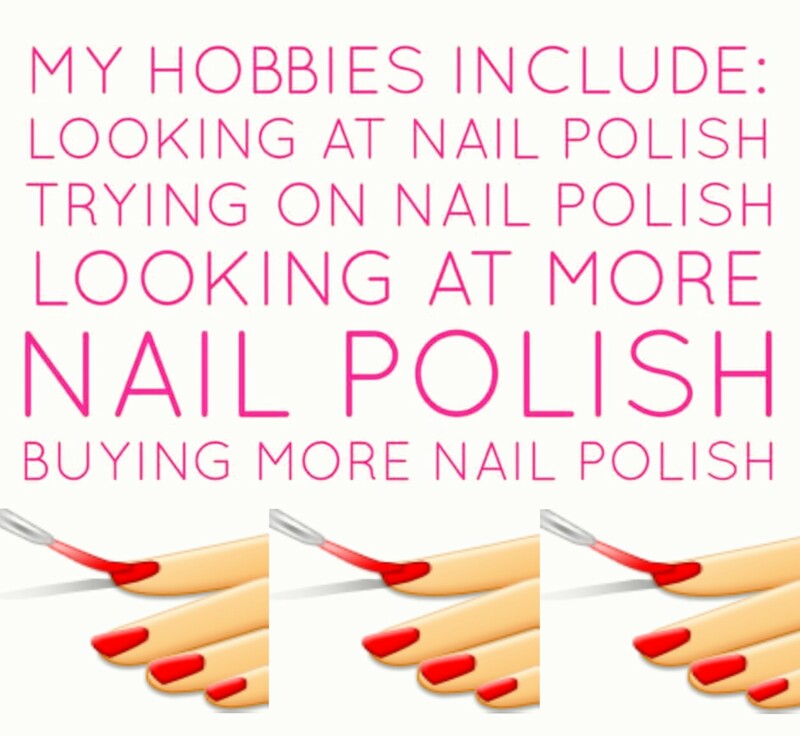 I must have Polish,Wear Polish,Buy Polish,See Polish & Everything else that goes with being a Polishaddict!! Hello My name is LUVNAILSNICOLE! Lol If only I could change my real name to that I would probably top the Charts to #1 polishaholic! !Lol!